Henry VIII had just one legitimate son, Prince Edward. Born in October 1537, Edward was the fulfillment of his father’s tangled marital history. Henry had ended his marriages to Katharine of Aragon and Anne Boleyn when they failed at the most important queenly duty, each woman bearing a healthy princess but no surviving prince. Jane Seymour, the king’s third wife, was luckier. She ensured the king’s lasting affection when she gave birth to Edward, but she died soon afterwards of puerperal sepsis. 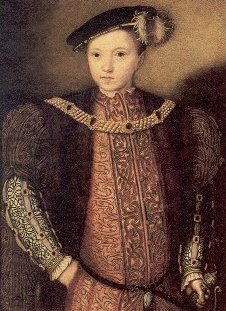 The infant prince was the only male Tudor heir of his generation; he had two sisters and Henry VIII’s sisters Mary and Margaret had several daughters. If Edward died, the throne would pass to a woman and the Tudor dynasty would end. Accordingly, King Henry did all he could to protect his son’s health; the infant prince lived in safe seclusion until his father wed Katharine Parr. Henry’s last wife became a beloved mother to Edward and he adopted the zealous Protestantism which she championed. He also grew close to his half-sister Elizabeth, with whom he shared a household for some years. His older half-sister, Mary, was an equally zealous Catholic; her religion and the vast difference in their ages prevented a close relationship. Edward became king at the age of 10, but he was a mere figurehead. His Seymour uncles battled with and ultimately lost the Protectorship to the ambitious John Dudley, duke of Northumberland. During his brief reign, Edward demonstrated impressive piety and intelligence. But his potential would never be realized. He died an agonizing death at 15, possibly from a combination of tuberculosis and the measles. Northumberland had persuaded him to leave the throne to his Protestant cousin, Lady Jane Grey. This decision begat one of the most tragic tales of Tudor England. Henry VIII married Jane Seymour in shocking haste and, when she died less than two years later, he sought another wife immediately afterwards. This evident dislike of bachelorhood was a cornerstone of Henry’s adult life. But it shouldn’t imply that he didn’t grieve for Jane. Indeed, unlike his other wives, she was the only one he always spoke of with affection. The cynic may argue this was because she died before Henry could turn on her. Whatever the case, when his own life came to an end, Henry envisioned a grand tomb to hold him and his ‘entirely beloved’ Jane. This did not come to pass; instead, Henry’s body was interred with Jane’s at her burial site, St George’s Chapel. It is indicative of Henry’s contradictory character that, ten years and three wives after her death, he still held Jane in such sentimental regard. Though he is notorious for his six marriages, one could easily argue that only his union with Jane Seymour – brief though it was – completely satisfied him, as man and king. Unlike her immediate predecessor Anne Boleyn (whose motto was le plus heureuse – ‘the most happy’), Jane chose as her motto, ‘Bound to obey and serve.’ A more striking contrast to the witty, flirtatious and passionate Anne Boleyn could not be imagined. While Anne had been almost exotic in her attractiveness, stylish, and educated at the notorious French court, Jane was the pious and dutiful daughter of an old English family. Certainly she had as many ambitious relatives (including two brothers executed by her son), but she never imposed upon the king. When she argued for Henry to reinstate his daughter Mary, the king replied that she would do well to think of herself and the children they would have; Jane replied, with typical tact and submissiveness, that she was thinking only of the king’s happiness. She had the most pleasing feminine habit of showing disinterested concern for others. Again, a contrast to her predecessor who had despised – and been despised by – Princess Mary. But Jane’s quiet, pliant nature should not be mistaken for shyness or ignorance. Indeed, she was intelligent enough to manage Henry Tudor, a feat at which even great men like Wolsey, Cromwell, and More struggled. She also managed to capture and maintain a king’s interest while he was married to another woman. Certainly Henry was increasingly weary of Anne and the lack of a male heir but his desire for Jane also urged on Anne’s execution. And before the execution, Henry was careful to obtain a divorce from Anne as well; this meant that his marriage to Jane was the first legal union of his life. At forty-five, well into middle-age, the king declared he was finally entering a legally and spiritually pure marriage. If Jane would have maintained Henry’s interest and affection forever cannot, of course, be known. She lived just eighteen months after their marriage, long enough to deliver a prince and short enough to enshrine her memory. Beyond Henry, she also impressed others as the perfect epitome of a quiet, obedient and kind wife – various ambassadors and contemporaries agree on this. But one musn’t forget that she knowingly – if quietly – carried on an affair with a married man while ostensibly serving his wife. Many vilified Anne Boleyn for the very same behavior; however, Jane’s behavior is rarely portrayed in a negative manner. The exact date she met the king is not known. But before he dallied with her, he had made another of Anne Boleyn’s ladies-in-waiting his mistress. This was Margaret (or Madge) Shelton, Anne Boleyn’s first cousin, a girl ‘very gentle of countenance’ and ‘soft of speech.’ She was governess to Princess Elizabeth and her husband was captain of the child’s guard. The affair with Madge lasted about six months in early 1535; Chapuys, the Imperial ambassador, also mentions another affair in autumn 1534 but the woman’s name is not known. In autumn 1535, the king’s fancy turned to Jane Seymour. Henry was on progress to Southampton and stayed at her father’s home, Wolf Hall in Wiltshire, with the traveling court. This meeting at Wolf Hall was not their first (it simply couldn’t have been since she had been in royal service since 1529). But Henry VIII was rarely one for passion at first sight and, for one reason or another, Jane attracted his amorous attentions at Wolf Hall. He had not deserted his relationship with Anne, however; there was still a chance she would provide a male heir and Henry was loathe to end a marriage he had fought so hard to secure. Still, in the back of all minds, the precedent of repudiated Katharine existed. If the aunt of the Holy Roman Emperor could be divorced, why not ‘Nan Bullen’? But such speculation was dormant until Anne suffered a stillbirth during the summer of 1534. Before this, Chapuys and other enemies commented that she was growing old, her dark good looks were fading; she was in her mid-thirties, no longer young and leaving her safest reproductive years behind. She still could manage Henry though she lacked Jane Seymour’s delicate touch. But she would have been a fool to think her position was completely secure. Each new dalliance, each sharp word reinforced her tenuous position. Above all else, she must produce a male heir – Henry would never repudiate the mother of his son. So when she miscarried late in her pregnancy, she naturally worried. It did not help her disposition or relations with the king. From the fall of 1534 and most of 1535, Anne sought security in the only way possible. But Henry was occasionally impotent, a not uncommon occurrence for an overweight man of forty-five. Like most men of his age (and many of ours), he didn’t blame himself; after all, he was still attracted to other women. Ironically enough, it was after his visit to Wolf Hall, when he returned to London in October 1535, that he and Anne conceived a child. The fancy for Jane Seymour, only a few weeks old, would be overlooked. Furthermore, Katharine of Aragon had finally passed away on 7 January 1536. The great rival vanquished and she herself pregnant, Anne lived as her motto decreed – ‘the most happy.’ But Katharine’s death was not the happy event it may have seemed. After all, in the eyes of Catholic Europe, Katharine had always been Henry’s wife. With her death, the king of England was officially widowed. In other words, he was free to marry again. The union with Anne was not recognized. And just a few weeks after Katharine’s death, Anne miscarried the child. It was a male fetus, about fifteen weeks old. Her own sorrow as a mother was undoubtedly overwhelmed by the realization that she was doomed. She told Henry she had miscarried because he had suffered a serious fall and the news, related by her uncle Norfolk, had distressed her terribly. Henry was uninterested. According to Anne’s attendants, he said to her, “I see God will not give me male children” and that he would have “no more boys by her.” Perhaps two miscarriages was not uncommon in Tudor England but, in light of Katharine of Aragon’s many miscarriages, Anne’s were magnified. With Anne now widely believed to be incapable of delivering a male heir, Henry’s relationship with Jane Seymour assumed a new importance. There are stories which cannot be confirmed as true – Anne discovered Jane sitting on the king’s lap, Anne discovered gifts Henry had bought for ‘Mistress Seymour’ – but they are disquieting. In any case, Jane was bewitching the king in her own quiet way much as Anne herself had done. She denied the king just enough to ensure a chaste reputation and certainly Henry was like many men – the forbidden fruit was all the more attractive. And she also came from a respectable noble family which passionately pounced upon the Boleyn’s declining fortunes. The Seymours had old antecedents though their claim of Norman ancestry was dubious. Their name was originally St Maur and a Sir Wido de Saint Maur was supposed to have come over with the conquest. Prosperous marriages enriched the family and extended their holdings. Jane’s father was born in 1474 and knighted in the field by Henry VII at a battle called Blackheath. He continued to enjoy royal favor into Henry VIII’s reign, accompanying the king on his French campaign in 1513 and also the infamous Field of Cloth of Gold in 1532. He was a Gentleman of the Bedchamber and sheriff of his home county but never especially prominent or ambitious. What was important was his reputation as a pious and courteous man; also, he was often in close contact with the king. And, even more important, he came from a large family with many healthy children. Jane herself was one of ten children; her own mother had six sons, though two of died of the sweating sickness in 1528. Jane’s father was over 60 when the king’s fancy turned to her; it was her older brothers Edward and Thomas who stood to profit most from her ascendancy. They seized – and relished – this unexpected opportunity to advance their fortunes. Their sister, in her mid-twenties, was not particularly beautiful; her most pleasing feature was her fair, unblemished skin. Chapuys, who had no cause to denigrate her, described her as ‘of middle stature and no great beauty.’ But she was calm, courteous, and kindly. Such characteristics were important, especially to a monarch like Henry who felt himself surrounded by devious and temperamental women. She was also virtuous. She may have responded to Henry’s flirtations (who would deny the king?) but she responded to no others – this despite service under two queens. But when Henry sent her gifts with a letter, she returned them, saying, “If the King desired to make her a present of money, she prayed that it might be when she made an honorable marriage.” Once again, the royal appetite was whetted. And, of course, such modest behavior was desirable in a woman Henry increasingly wanted to wed.
Jane’s family was joined by supporters who had been slighted by the Boleyn faction. In other words, anyone who had not prospered under Anne’s rule wanted to support Jane. On 18 April 1536, Cromwell (Henry’s chief minister and confidante) threw in his lot with the Seymours. He vacated his apartments at Greenwich Palace so the Seymours could move in. This was crucial. Not only could the king visit Jane discreetly, without anyone knowing, but Cromwell’s opinion carried weight with Henry. Anne Boleyn’s fall was inevitable; Jane Seymour’s rise was unstoppable. On Friday, 19 May 1536, Anne Boleyn was executed on various charges, the most powerful being that of treason. The secret betrothal of King Henry and Jane took place at Hampton Court the next day. During Anne’s arrest and trial, Henry’s sense of decency (never great) had persuaded him to send Jane away. She went to Sir Nicholas Carew’s house at Croydon where she was afforded every respect. But as the date of Anne’s demise approached, Henry grew more impatient; Jane was moved to a closer house just a mile from the king’s residence at Whitehall. From there she went to Hampton Court for her betrothal; it was back again to Whitehall for the marriage on 30 May. Thomas Cranmer performed the ceremony. One can imagine it was a happy and triumphant day for Jane but confidence would have been foolhardy. After all, the king had divorced one wife who had not born a son and executed another. She had known both Katharine and Anne quite well. Even if she didn’t grieve for their fates, she must have realized the instability of her own. Once queen, Jane chose a phoenix rising from a castle filled with Tudor roses and the panther for her heraldry. It was easy enough to alter Anne’s leopards and falcons, after all. On their first procession through London as husband and wife, they passed the Tower where the late queen’s body lay stuffed in an arrow chest, the head tucked beneath the arm. For ‘Jane the Quene,’ the Tower was hung with banners and streamers. Furthermore, there was the incredible dowry the king had lavished upon her – 104 manors, 5 castles and various gardens and forests. Henry also planned an equally lavish coronation for his new queen. This, however, was stymied by an outbreak of the plague; Henry said that it would only be postponed. As soon as it was healthy and safe, Jane would be officially crowned. Meanwhile, Jane displayed good common sense by ordering her ladies-in-waiting to dress conservatively. She wanted no one to tempt the king even as she had done. She also became mother to two motherless princesses. Both Mary and Elizabeth benefited from Jane’s kindness. Mary was of marriageable age (seven years younger than Jane) and could be used as a tool in Henry’s diplomacy. Three-year-old Elizabeth, lacking Mary’s maternal nobility, was not marriageable yet but Henry was described as ‘very affectionate’ toward her. He called her ‘his Madame Ysabeau’ and allowed both Elizabeth and Mary, though bastardized, precedence over their cousins. Jane’s religious opinions should be discussed, if only because history has often misread her true feelings. Unlike her brothers and son, Jane was not a Protestant. She was conservative in her religion as she was in her behavior. The first harsh words Henry was recorded as speaking to her were over religion; she mentioned that a rebellion was perhaps God’s rebuke over Henry’s dissolution of the monasteries. Henry brusquely reminded her that the late queen had died as a result of meddling in his affairs. This implied threat would have been enough to frighten any woman. Luckily, Jane became pregnant a few months later, in early January 1537. This news undoubtedly helped lessen the sadness of her father’s death on 21 December 1536. Jane’s condition was announced in March and the news was officially celebrated on Trinity Sunday, 27 May 1537. She was now the king’s ‘most dear and most entirely beloved wife’, as Henry wrote to the duke of Norfolk. Her coronation was now planned to be after the child’s birth, probably late October. There is no sign that the pregnancy was especially difficult; all writings point to Jane’s good stature and health. Henry canceled a progress to stay with her and certainly the entire court – and country – held their breath, wondering if this young woman would succeed in her greatest duty. Certainly Henry was optimistic and, as usual, the astrologers and doctors predicted the birth of a son. They had been wrong with Elizabeth but Henry was eager to forget and make preparations. He had a Garter stall made for this long-awaited son in St George’s Chapel at Windsor; the royal apartments at Hampton Court Palace were refurbished in preparation for the birth; Jane’s brothers were yet again elevated to new positions, granted more lands and pensions. And finally, on 9 October, she went into labor. Her labor was as arduous as any could be in the sixteenth century. It lasted three days; after the first two, a procession was mounted in London to pray for the Queen. On 12 October, the eve of the Feast of St Edward, the child was born. Jane was well enough after the birth to receive guests, most touchingly her husband. Henry wept when he took this longed-for heir in his arms. The christening was held three days later and, wrapped in furs and velvet, she attended. Princess Mary acted as godmother to her half-brother and four-year-old Elizabeth was carried by Thomas Seymour. It would be impossible to list all the celebrations which occurred when Prince Edward was born. Suffice to say, 2000 shots were fired from the Tower and bells were rung throughout the countryside. On 18 October, Henry had his son proclaimed Prince of Wales, Duke of Cornwall and Earl of Carnarvon. Yet again the Seymour brothers were given generous endowments for the king was never more generous or magnanimous. But their sister who had made such celebrating possible was not recovering from the birth. In modern times, we call her illness puerperal fever. In Jane’s time, it was the most common cause of death for pregnant women. Cleanliness and the proper treatment for infections were not understood. Once she became infected, she was doomed. On 19 October, she took to her bed again; she recovered somewhat on the 23rd, as her attendants reported, but only for a matter of hours. Soon she was delirious and, early the next morning, her confessor was sent for. Henry, who had planned to go hunting that day, postponed his trip – but only for that day, he told a courtier. It was enough; ‘Jane the Quene’ died near midnight on 24 October, living just days after her great triumph. For her husband, increasingly obese, bald, and well into middle-age, the grief was genuine. He planned a sumptuous burial for 12 November and the churches that had celebrated Edward’s birth now began to pray for the soul of the late queen. Hampton Court Palace, scene of her triumph and death, was hung with black. Princess Mary was chief mourner at her step-mother’s funeral but Henry did not attend. He wished to be alone with his grief. Jane Seymour was buried as a queen – unlike Katharine of Aragon who had died as Princess Dowager and Anne Boleyn, who had died divorced and disgraced. Her hearse was taken to Windsor and interred in a vault in St George’s Chapel. Henry was perhaps already planning a sufficient monument for the grave he would eventually share with Jane. But he also kept track of his late wife’s possessions – her jewelry was distributed to her ladies, Princess Mary, and her brothers. But her dowry, the 104 manors and 5 castles, were given back to the king. And, very soon indeed, speculation began – who would receive these favors next? Henry VIII turned to the continent for his next wife, the German princess Anne of Cleves. The marriage was famously annulled only a few months later. His fifth wife was Anne Boleyn’s cousin, the young and pretty Catherine Howard. She met her cousin’s fate not even two years into the marriage and then Henry wed the twice-widowed Katharine Parr. Pious, intelligent and an accomplished nurse, she would be his last wife. By the time of this last marriage, the king was suffering from a variety of ailments, most caused by his increasing obesity. He continued to take a keen interest in his son’s education and Katharine Parr became a true mother to the young Elizabeth and Edward. Her passionate Protestantism had a great effect on both children; it also nearly caused her death, since Henry VIII had become even more tyrannical as the years passed. The king’s own death on 28 January 1547 was the second and final time the Tudor throne would pass, easily and without dispute, to a male heir. But Edward VI’s extreme youth ensured that his reign would not immediately be his own. Who was this young man, the product of his father’s long and desperate search for an heir? He died at the age of sixteen, never more than a puppet king who had to beg his uncle for pocket money and was beaten by his tutors. 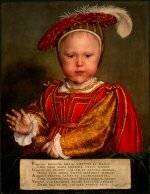 Edward VI was just a child when crowned at Westminster. His father knew the dangers of leaving a child as heir and did his best to protect the court from factionalism. However, Henry’s will was shortsighted and hardly practical; he wanted a regency council of peers, each equal to the other. But even as he lay dying, the earl of Hertford and Sir William Paget were already planning their coup. Hertford, Jane Seymour’s brother and Edward’s uncle, would be made Lord Protector and Paget would be first minister. On 28 January 1547, Hertford rode to his nephew and brought him to the security of the Tower of London. On 31 January the council met there and agreed to Paget’s nomination of Hertford as protector. Only then was Henry VIII’s demise made public and Edward VI proclaimed king. There followed a distribution of titles and sinecures, the most notable being Hertford’s elevation to the dukedom of Somerset. However, Somerset’s authority was not fully secure; the council’s nomination of him as Protector was just a verbal agreement. Without letters patent authenticated by the Great Seal, he had a title but no legal basis for control. But the Great Seal was in the hands of the lord chancellor, a conservative named Wriothesley who had been created earl of Southampton during the accession honors. But even elevated to an earldom, Wriothesley was not happy with what he perceived to be Somerset’s usurption of power. He refused to affix the seal to Somerset’s patent of formal authority. Early in March, Somerset was able to rid himself of this nuisance. He brought to the council’s attention certain irregularities in the chancellor’s office (notably his neglect of the legal side of his responsibilities), and forced Wriothesley’s resignation. Somerset’s ally Lord Rich was quickly appointed lord chancellor and the Great Seal was finally affixed to the letters patent. Somerset was now the most powerful man in England, with the exception of his young nephew. One of the powers Somerset acquired in his patent of office was the right to appoint whoever he wanted to the Privy Council. To that end, he brought in some of the older, experienced men who had not been appointed executors in Henry’s will. But he never allowed the council to function with any degree of autonomy and rarely consulted its members. Instead, he used them to simply endorse his own privately-made decisions. On the rare occasions he did meet with them, he demonstrated an appalling lack of the attributes all leaders need – tact and cunning. His tongue was so savage that he reduced a colleague to tears and, before long, Paget was warning him about his arrogance and rudeness. Somerset ignored Paget as he ignored most everyone else. He ruled by edict, issuing proclamations to a greater extent than any head of government in the Tudor age. His fall was inevitable. But it did not happen until five years into Edward’s reign, by which time Somerset had effectively cemented the new religion in England and offended virtually every other nobleman. 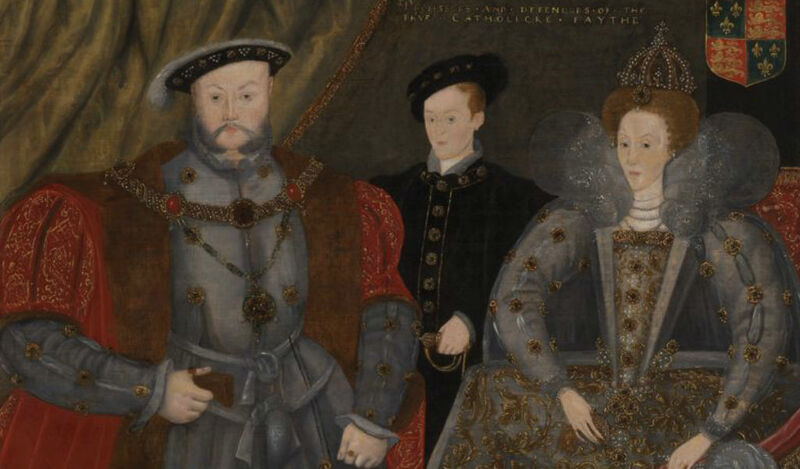 What did Edward VI think of his uncle’s autocratic use of power? The boy king left behind a journal remarkable in its detachment; indeed, he recorded the executions of both Somerset and his younger brother with no emotion. Edward’s education was always strict. His earliest tutors were female and he was guarded under the strictest regulations – for example, nobody less than a knight was allowed to visit him. At the age of six, his two principal tutors were appointed – Ricahrd Cox, a committed but moderate reformer, and John Cheke, the most distinguished humanist in the land. There is evidence that he was occasionally beaten. Upon his ascension, he was a precocious and intelligent boy. His elevation to the kingship did not end his courtesy to his tutors. In fact, he now began to share his studies with a handful of contemporaries; one of these, Barnaby Fitzpatrick, was the son of an Irish peer and became a Gentlemen of the Privy Chamber. He was also Edward’s closest friend and, away on a mission to France, received letters from the king which betray normal adolescent exuberance. These letters – along with those to Katharine Parr – are the only examples in which Edward exhibits emotion. Edward left behind a reputation for bigoted, extreme Protestantism which he does not deserve. There were many pro-Protestant laws enacted during his reign, with his approval, but at the instigation of his guardians. He was a devout Protestant, the product of the new religion which even his father had not understood. Still, he was by no means as self-righteouslessly intolerant as his older sister; perhaps he would have been – but that is just speculation. Edward’s ministers demonstrated passionate self-interest in this religious climate. These Protestant lords had profitted economically from the dissolution of the monasteries and no one – lord or commoner – wanted to reinstate papal taxation. They were determined to keep their land grants, gold plate, and other treasures. In doing so, they appealed to the intellectual vanity of their young king. Edward was raised a Protestant, even as Mary had been raised a Catholic, and there is no reason to doubt he held his faith as deeply. Unlike their sister Elizabeth, who declared she wanted no windows in men’s souls, Edward and Mary believed they were guiding their subjects onto the path of righteousness. When Somerset and others altered their beliefs with changing political climates, they were careful to appeal to this sense of self-righteousness. I wrote a more detailed account of Edward’s childhood before writing this section; if you would like to read it, please click here. It will be somewhat repetitious since it contains information found at this page, but there is more detail and might be useful for students researching Edward’s life. The essential fact of Edward’s brief reign is this – it is more a commentary on Somerset and his successor, Northumberland, than it is on Edward himself. In the early months of his rule, the councilors were more interested in securing the throne and creating a peaceful transition to the new order. As Edward’s uncle and a soldier of experience, Somerset was the natural choice as ‘Protector of all the realms and domains of the King’s Majesty and Governor of his most royal person.’ The other fifteen men Henry had selected as councilors were men only recently promoted to high office; twelve of them were Protestant, since the Howards – the leading Catholic faction at court – had fallen from power. Somerset’s main rivals for power were John Dudley, earl of Northumberland (soon promoted to earl of Warwick) and his own brother, Thomas Seymour (soon created Baron Seymour of Sudeley and Lord High Admiral.) Seymour was ambitious and angry that he could not wield absolute power; in his opinion, why should one uncle have control and another be fobbed off with consolation prizes? A more temperate man would have been content with his newly ennobled title and position on the council but Seymour was ambitious and jealous – a lethal combination. In the end, he would bring down himself and his brother, thus securing Dudley’s ascendancy. Somerset loved his younger brother and, in general, was considered a kind man – but he was unfortunately ill-equipped to manage his squabbling council and had a mean-tempered wife who offended virtually everyone she met. She was his second wife and mother of his nine children; Somserset’s first wife had been banished to a convent after having an affair with his father. Anne Stanhope was as proud and quarrelsome as her brother-in-law Seymour. She considered herself the first lady of the realm, claiming precedence over Katharine Parr, Henry VIII’s widow. When Seymour married Katharine just four months after Henry’s death, Anne and virtually everyone at court saw it as evidence of his vast ambition. It opened yet another rift between the two brothers. There were, of course, reasons for Seymour to be jealous. On 16 February 1547, Henry VIII was buried with the Seymour brothers’ sister, Jane, at St George’s chapel in Windsor, and – the very next day – Edward VI confirmed his uncle as duke of Somerset. Along with the title came an income of 7400 pds a year, a vast sum in those days. By contrast, Henry VIII left Princesses Mary and Elizabeth 3000 pds each – less than half of Somerset’s income but still considered a great sum. Seymour had to content himself with the lands of his baronetcy as well as his wife’s fortune – and, soon enough, embezzlement. When his brother made it clear he would not share ultimate authority, Seymour began to plot against him. Already, he had begun flirting with the adolescent Elizabeth, being raised at his wife’s home in Chelsea (discussed in greater detail at the Elizabeth I pages.) He also secured the guardianship of Jane Grey, telling her parents he would arrange her marriage to the young king. Thus, he was in control of two of Henry VIII’s heirs. He also began visiting his nephew, attempting to gain Edward’s affections by giving him presents and money. Since Somerset was strict with his nephew and kept him constantly short of money, the king was grateful for the gifts. But even as Seymour began his ambitious plans, Somerset was careful to court Princess Mary’s favor. This was a smart policy since she was her brother’s heir, popular with the English people, and cousin to the Holy Roman Emperor. Also, she was content to remain in the countryside since she disliked Edward’s Protestant court. Many historians have written that Seymour and others courted Mary’s favor with the view that she would one day be queen. However, this is wrong – as is the view that Edward VI was a sickly king, always delicate of health. In fact, until the last eighteen months of his life, Edward was quite healthy and gave every intention of living many years. He was slender and had fair coloring but also enjoyed activity and took a keen – and passionate – interest in learning and religion. ; As he grew older, he naturally chafed at his uncle Somerset’s absolute control over his life. Somerset – unlike his brother and Dudley – never played to Edward’s natural feelings of superiority and authority. He treated the king as he treated his children – with firmness, discipline, and a strict regimen. Seymour and Dudley spoke to the young king as a king, pretending to defer to his naturally superior wisdom. For a while, though, Somerset kept near-absolute control over the council. He became popular with the poor – and unpopular with his fellow nobles – by promoting reform of agricultural laws (creating fixed rents and the abolition of enclosures)and he attempted to reform the judicial system in favor of equality for all. In fact, he established a court of pleas at his own home in London. This earned him the nickname ‘the Good Duke’ but to his councilors he was too moderate to satisfy any faction and too headstrong to listen to anyone. To this perception of arrogance and class-betrayal was added a spiritual weakness – Somerset would not allow anyone to be tortured or burned over religious matters. This tolerance was unexpected and unwelcome by his peers. But along with idealistic plans for social reform, Somerset was also grasping and greedy. The combination of such traits was considered hypocritical and inconsistent. After all, his councilors muttered, who was Somerset to criticize their rents when he spent the government’s money with little regard for moderation? They pointed to his London residence, Somerset House, built at the exorbinant cost of 10000 pds; there were other homes, too, equally grand and all designed to emphasize his stature as Lord Protector. It may be that Somerset was uneasy in his role since, before his sister’s ascendancy, his family was only moderately successful. In just ten years, they had become the pre-eminent family in the land and he may have been insecure about such a rapid rise. In any case, he was encouraged in such spending by his wife. Somerset’s main problem was that he lacked the charisma and will-power of Henry VIII, a man who had blustered and bullied his council into action. The sheer intimidating force of his personality had awed everyone – and Somerset lacked that bravura, a natural ability to inspire and lead. Instead, he was forced to shout and insult his peers into action, at one time driving a man to tears. Meanwhile, his brother was proving an embarrassment. Right after Henry’s death, Seymour had sought permission to marry Elizabeth; when that was denied, he renewed a former attachment to Katharine Parr and married her. In any case, in the four months after Henry’s death before he married Katharine, his nephew King Edward had suggested he marry Anne of Cleves or Princess Mary. But Seymour’s own brother squashed both those plans, the union with Mary in particular; Seymour was not ‘born to be king, nor to marry a king’s daughter.’ So when he married the queen dowager, people naturally assumed it was a union of ambition and not affection. Seymour further angered the council and his brother by flirting with Princess Elizabeth; she was sent from he and Katharine’s Chelsea home after Katharine became pregnant. When Katharine died in childbirth, Seymour was soon engaged in pressing his suit to Elizabeth again as well as arguing with the council – and his brother in particular – over Katharine’s possessions. He was also ingratiating himself with King Edward by bribing a man called John Fowler, one of the king’s closest servants. Fowler and Edward were close and shared conversations; they revealed the young king’s increasing frustration with Somerset’s actions. Edward wanted more pocket money, less severe tutors, more time for leisure pursuits – he wanted to be treated as king and not a child. Fowler, paid by Seymour, was happy to pass these complaints on. So Seymour smuggled in some money and small presents and, though these pleased the king, they didn’t personally endear his uncle to him. Perhaps even the young Edward could sense his uncle’s calculating ambition. But Edward did publicly support and bless his uncle and stepmother’s marriage. And, in a fit of anger, he once told Seymour that – if Somerset should die – he would appoint his ‘favorite’ uncle Lord Protector. Such statements only encouraged Seymour. Soon enough, in November 1547, Seymour had urged Edward to sign a document which would be placed before Parliament in its new session; it would officially divide the office of Lord Protector between the king’s two uncles. Edward was naturally cautious and asked his tutor, John Cheke, for guidance. Cheke was a learned man obsessed with otherwordly concerns but he also understood the intrigues of the Tudor court. His advice was for Edward to not sign and distance himself from both uncles. Seymour was furious. He went about telling councilors that he wanted Edward to live with him and the queen dowager and – more threateningly – he could easily steal the king from under Somerset’s nose. 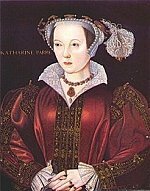 When Katharine died on 5 September 1548 after a difficult childbirth, one important link to his nephew disappeared. After all, Edward had been genuinely fond of Katharine. But after her death, Seymour became even more openly ambitious and insulting to his brother. There were rumors that he wanted to marry his former ward Jane Grey but Seymour found this laughable. He had more ambitious plans – once again, he intended to woo Princess Elizabeth. It may have been that Katharine Parr exerted a calming influence upon her husband and, once she died, he became more obvious and unrestrained in his plans. Whatever the case, he began to voice open disapproval of his brother’s government, threatening to disrupt Parliamenr; in short, he was a great embarrassment to the protector. Somerset tried to be conciliatory but Seymour had none of it. He began to gather support (at least nominally) from other nobles who were dissatisfied with Somerset for less personal reasons. As Lord High Admiral, a post he had heretofore neglected, Seymour was able to control the English navy. He openly asked people for support in case of a coup. In other words, he was completely indiscreet. The vice-treasurer was a man called Sir William Sharington. Sharington had taken advantage of the general laxity and chaos the new reign to clip and debase the coinage produced at Bristol. He doctored the account books to cover the operation but rumors spread of his crimes. It was inevitable – after all, others worked at the mint and Sharington was using the money to refurbish his house in a very lavish manner. Seymour discovered Sharington’s secret and, rather than turn him in, decided upon blackmail. He planned to use the proceeds to finance his coup to take over the government. Furthermore, he as using his position as Lord High Admiral to encourage piracy (rather than protect against it, as was his duty), allowing the pirates safe passage in exchange for shares of their booty. He also charged ships a toll to pass from England to Ireland on official government business. He also planned to kidnap Edward, with John Fowler’s help. Fowler provided keys to Edward’s room and forged a stamp of Edward’s signature. But at the end of 1548, everyone knew of his plans. The council openly discussed charges against him. His aristocratic friends cautioned that their support would not be forthcoming after all. Soon enough, someone had tipped off the council to one of the greatest crimes – the Bristol mint was raided and Sharington fell to pieces, accusing Seymour of forcing him to commit treason and turning King’s evidence against him. (In an ironic footnote, he was not only pardoned – but restored to his office and position in life.) Somerset attempted to help his brother, summoning him to London for a private audience. Seymour refused. Somerset had no choice but to lay all before the council and let them proceed against his brother. Soon enough, John Fowler’s incriminating evidence was laid bare – as was King Edward’s. But still no direct action was taken against him; it was just a treason investigation. But on 16 January, Seymour ensured his immediate arrest. He still had the forged keys to Edward’s apartment at Hampton Court and, in the middle of the night, decided to risk everything on kidnapping the king. He entered through the privy garden – but, in the room outside Edward’s bedroom, slept the king’s pet spaniel. The dog woke up, barking, and Seymour shot him. A Yeoman of the Guard appeared, demanding an explanation, even as King Edward awoke and stood in his bedroom doorway; he was clad in his nightshirt and openly terrified. Seymour told them he had come to test the king’s guards; the dog had attacked him so he was forced to shoot. The guard let him leave but, upon learning of the incident, the council decided to confine Seymour to the Tower while they investigated. The official charge was attempting to murder King Edward; even the suspicion of regicide was enough to condemn Seymour. On 18 January, the council officially sent agents to question everyone Seymour had conspired with; among those questioned were Princess Elizabeth and her household. Seymour refused to appear privately before the council; he would settle for nothing less than an open trial. On 22 February, the council officially indicted him of thirty-three charges of treason. And Seymour never had an open trial in which to make his case – as in Henry VIII’s time, a Bill of Attainder was passed on 4 March, approved by Parliament and King Edward. Somerset delayed signing the death warrant so the council, led by Dudley, went to Edward for his signature. So on 20 March, Seymour was executed at the Tower of London, dying ‘dangerously, irksomely, horribly.’ Somerset’s understandable inability to condemn his brother resulted in a growing rift on the council. His family was disgraced and he was angry at the councilors for so rapidly proceeding against his brother. It was only a matter of time before he, too, fell from power. Somerset’s fall was engineered by Dudley and helped along by a backlash against his regime. How did Somerset’s policies help foster a climate of betrayal and manipulation; specifically, how had he failed in his duties as Lord Protector? Somerset’s government was a confused jumble of misplaced idealism and factional squabbling. With the dynamic and charismatic figure of Henry VIII gone, Tudor government was in a shambles. Its fate was inevitable – an autocratic king was replaced with a nine-year-old boy – what else could result but chaos? Henry VIII had been a mass of contradictions always united in the belief that the king’s will was the highest authority. Even when his religious policies became incomprehensible to anyone but him, he still believed they were righteous – and through the force of his will and use of kingly authority, he convinced most others of the same. Up until the week of his death, he entertained foreign ambassadors and plotted grandiose foreign invasions, displaying a disturbing interest in current events while his council thought he should be contemplating the afterlife. When he was gone, no one knew how to fill the void. Certainly his heir, still a child, was king in name only. His Lord Protectors – first Somerset and then Dudley – tried to act as kings and both perished. The truth was obvious and inescapable – the English people may have muttered (at great risk) about Henry’s religious quarrels and his private follies but they had respected his position as king. The men that followed him had grown up in his shadow, jockeying for position and favor. When he died, they struggled amongst themselves for Henry’s vanished supreme authority. In the end, they failed and the English people suffered six years of turmoil. Somerset’s position as Lord Protector seemed natural enough. After all, no one seriously expected a council of sixteen peers to rule England. Factionalism and squabbling had long marked Henry’s court (particularly after Cromwell’s execution) and it only worsened after his death. There needed to be a leader, a respected man who (in the council’s opinion) would not be a ruler but a figurehead. In other words, he would be perceived as leader while actually sharing authority with the council. (A position, in other words, like that of Speaker of the House in the U.S. Congress.) Of course, such a plan depended on the leader being willing to share power privately. Somerset originally promised to do so but, fairly quickly, decided to disregard his peers. This understandably angered them. In addition to his arrogant refusal to consult them, he also implemented policies which helped the poor at the expense of the aristocracy. In private life, Somerset was regarded as a genial man, though criticized as middle-of-the-road and unreadable. His wife, Anne Stanhope, was the stereotypical shrewish wife who offended virtually everyone she met, particularly other aristocratic wives. She bore Somerset nine children and he was considered a strict but fair father. Insofar as it is possible to sketch a psychological portrait of Somerset at this site, I would characterize him as an essentially kind and sympathetic man who took his responsibilities very seriously; he was also prone to feelings of inferiority and easily offended. As a result, his government policies were idealistic – but his personal relationships with counncil members were unsatisfying. He came to be regarded as arrogant and bullying when, in fact, he was simply ill-suited to his job. Added to this, he craved appreciation – he cultivated the appearance of fairness and virtue even as he replaced the council with his own hand-picked advisors. Somerset had achieved the position of Lord Protector simply because his younger sister, Jane, bore Henry VIII the longed-for son. As such, Henry always regarded her in a sentimental haze; she was the perfect wife – gentle, meek and obedient. She had also fulfilled her duty as queen by providing a male heir, though she tragically died as a result. It was Jane who, years after her death, was painted as Henry’s consort in paintings of the Tudor dynasty; and it was Jane whom Henry wished to lie beside in death. While she lived as queen (for a brief eighteen months), her brothers, Edward and Thomas, were showered with favors. After Edward VI’s birth, the favors continued. Edward, the elder brother who became duke of Somerset in 1547, was closer to Henry than Thomas and adept at handling his mercurial monarch. In truth, Somerset had emerged as a competent soldier and politician. But competency alone could not run Tudor England; indeed, even the great Cromwell had struggled to control Henry’s council before they connived at his execution. Somerset was no Cromwell. He lacked a coherent vision of government and the personality to govern. But for several years he was Lord Protector – before his younger brother’s jealousy and ambition destroyed them both. The personal tragedy of Edward and Thomas Seymour was discussed above. Suffice to say, it played out against the backdrop of actual government – all the mundane day-to-day policies whicch actually control a country. Edward VI became king even as his father’s past was catching up to the English economy. Henry VIII had indulged in many frivolous pursuits, including several extremely expensive battles in France. He left behind a mountain of debt and little means to pay it. The English economy was heavily dependent upon wool exports to Europe, particularly the Low Countries. And it possessed the enviable ability to feed its population without importing food – but only during good harvests. When harvests were bad, famine occurred and the poor became beggars, often relying on the newly-impoverished churches for support. Somerset dealt with crises by consulting his own advisors and not the council. It was unfortunate that the disregarded councilors included one John Dudley, earl of Warwick. Dudley was very ambitious and determined to destroy both Seymour brothers. He began through simple gossip – encouraging Thomas Seymour’s jealousy whhile telling Somerset his brother coveted his position. But, for a long while, Somerset was impervious to Dudley’s scheming. Within weeks of Henry’s death, Somerset obtained a dry stamp of Edward VI’s signature – perhaps his most powerful tool (since the king’s signature implied the king’s will – and the king’s will was law.) And he soon commanded that Edward’s signature alone was not completely legal; instead, documents must include both Edward and Somerset’s signatures. For almost exactly two years (until his brother was arrested on 17 January 1549), Somerset ruled England as thoroughly as any king. Indeed, it could be said he consulted the official privy council less than Henry VIII had; certainly he entrusted less business to it. His foreign policy was dominated by one thing – Scotland. He wanted to marry Edward VI to Mary Stuart, heiress to the Scottish throne and known to history as Mary queen of Scots. But he knew that such a betrothal would have to be forced and enforced constantly. He also knew that England could ill afford to continually invade their troublesome northern neighbor. So Somerset proposed a logical – but impractical – plan. He would maintain a permanent English presence in Scotland by constructing armed garrisons. He invaded Scotland in September 1547 and won a battle at Pinkie. He instantly began to build forts while neglecting to enforce a naval blockade to prevent French involvement. Perhaps Somerset did not correctly gauge the Scottish-French alliance; he was certainly unprepared when 6000 French troops arrived and promptly captured English forts and built their own garrisons. Two years after the Battle of Pinkie, the French had moved Mary Stuart to France (thereby ending Somerset’s planned marriage between her and Edward.) Also, the battle had become defensive and inconclusive. Somerset was reduced to hiring mercenaries (over 7000) to maintain some positions but conditions were bleak enough to drive mercenaries away. Soon enough, France had decided to declare war; Henri II officially did so on 8 August 1549. England could not fight France and so Somerset offered to return Boulogne (captured by Henry VIII) five years before an earlier treaty demanded. The French king demanded the return of Calais as well. So Somerset ordered new forts built at both cities and managed to fend off an attack at Boulogne. But soon enough the French king declared his trump card – Mary Stuart was betrothed to his son and heir, the Dauphin. The message was clear – soon, the French would control Scotland.. The conflicts with Scotland and France cost a great deal of money and hurt Somerset’s reputation. Furthermore, he paid for the battles by debasing coinage (hardly an intelligent policy.) He combined these foreign policy and economic mishaps by his religious policy. Keep in mind that in 1547 just 20% of Londoners were Protestant; Protestants were also a vocal minority in Essex, Bristol, Kent and Sussex but outside this all-important southeast corridor, the religion had barely spread. It was long known that whoever could hold London could control all of England – London was the capital and one of the laargest cities in Europe. But since Protestants only accounted for 1/5 of the population, what explains Somerset’s – and the rest of government’s – legal support for this new religion? The answer is complicated and deserves its own book – in brief, the Protestants were a minority but they were a vocal minority with money and influence. Their members formed the basis of Somerset’s support and – as a vocal minority – they were far more passionate and committed to spreading their faith than Catholics were with preserving the old order. This is an important point; offensive actions are more ideologically appealing than defensive actions. The group that initiated the changes (Protestants) were far more likely to be committed and inspired to action. Many of the wealthy Protestants had benefited from the dissolution of the monasteries in the 1530s but many historians have exaggerated Henry VIII’s generosity, implying that he gave vast monastic lands away to favored courtiers. In truth, he and Cromwell charged a fair – and often steep – price for most of the lands. They were purchased by nobles – who then were committed to keeping their new lands. But most were also committed to Protestantism for very real ideological and religious reasons. One should not underestimate the importance of religion to 16th century people, though our own age is awash in skepticism and cynicism. For people of the 16th century, the miseries of this world were transitory – they were more committed to ensuring exiistence in the hereafter. Added to this confusion was Edward VI’s blossoming religious convictions. Like his sister, Mary, Edward became committed to a specific ideology and determined to impose it upon the English people – for their own good, of course. His tacit approval did not matter much to Somerset (who, after all, possessed the king’s signature) but it was symbolic. For the English people, the religious policies were frightening and confusing. Most English people lived in the countryside and were fundamentally conservative – as most rural populations are; they weree slow to change and suspicious of new ideas. Confined to London for most of his short life, Edward was unaware of this basic truth. Like Somerset, he resided in London where the new ideas were rampant. In May 1549, revolts began which can be loosely classified as ‘class warfare’, or as close to such as Tudor England would ever get. This was not a repeat of the Pilgrimage of Grace, where nobleman led their supporters in protest of new religious policies. This was the revolt ot thousands of laborers and poor farmers who had long resented the use of enclosures. They were revolting against the noblemen with, so they believed, the government’s support. These poor people, who had suffered through rising inflation and prices and debased currency, were determined to end a grossly unfair practice. When Somerset insisted the nobles had deliberately filled the juries with supporters, the people grew angry. They took to the fields – filling ditches, tearing down fences and hedges. Too late, Somerset recognized the force he had unleashed. He threatened to disperse the rioters by force, to no avail. In May the first revolts broke out; by August, revolts broke out in Leicestershire. It was up to the nobility to restore order to their lands, using troops originally destined for Scotland. But thousands perished during the fighting. The revolts had revealed the ugly undercurrent of dissatisfaction among the English people. The factors already discussed combined to encourage revolt. It was also a terribly hot summer with a bad harvest. As prices rose, Somerset foolishly decided to fix maximum prices for goods – but the prices were incredibly high and,, once again, demonstrated his knowledge of London prices and ignorance of the rest of England. In general, the rebels wanted such basic rights as this – the right to have landlords forced off ‘common’ ground and the right to fish freely. In a way, it was very much a ‘Robin Hood’ rebellion; they distrusted the gentry and sought to separate the church and nobility. Society in a realm doth consist and is maintained by mean of religion and law. And these two or one wanting, farewell all just society, farewell king, government, justice and all other virtue. Look well whether you have either law or religion at home and I fear you shall find neither. ….And put no more so many irons in the fire at once as you have had within this twelvemonth – war with Scotland, with France…. commissions out for that matter, new laws for this, proclamation for another, one in another’s neck. Paget’s opinion of his former ally indicated the growing disillusionment with Somerset. Coupled with his brother’s ambitious attempt to overthrow him, the complete loss of the council’s confidence was thus the beginning of Somerset’s end.